Foot pain can be annoying and is very common in the athletic world. Not only can foot pain ruin training but it can also ruin other daily activities. Foot pain can be caused in a number of ways and in most cases; foot pain is the result of either bad footwear or excess impact on the foot during exercise. There are a number of nasty foot injuries that individuals can get if they are not wearing the correct gear or training in the correct manner, including blisters and stress fractures. However, thankfully, there are a number of ways to heal and relieve foot pain after you have sustained an injury. It really depends on the injury you have and where the pain is, as many injuries may differ in location. Nonetheless, there are a number of general ways to relieve foot pain and this article will explain 4. Once you have suffered a foot injury one of the best ways you can get rid of the pain and relieve yourself is through stretching the muscle. There are a number of stretches you can do and they are an excellent way to help the muscles heal around the foot. Even though this is a generic pain relief and healing technique, make sure that the injury is tendon related. Stretching your muscles will not benefit a stress fracture or bone injury. If you combine your stretches with men’s or women’s compression socks you can help promote blood flow and aid the muscles in their recovery. If your injury is very bad you may need to consult a physical therapist. A physical therapist will need to be consulted if you have a serious foot injury and are unable to move around the house and perform daily activities. They will examine the issues and tell you the diagnosis, depending on whether you have already seen a doctor or not. Their goal is to help you move again and to regain the flexibility in your feet. They will educate you on methods and will try a range of natural remedies, including stretching if you are not already doing it. A physical therapist is one of the most effective ways to relief foot pain but they can come at a price so make sure your injury is serious. This is an obvious one and your foot pain will not go away if you are continuing to train on a regular basis. You need to make sure you are resting your damaged foot and wearing the right clothing to promote blood flow to the injury. Athletic toe or finger socks with a compression fit are often an excellent way to promote blood flow and aid your recovery with rest. The tight fit will constrict your blood vessels and will force the body to focus blood towards the injury. Also, with the correct socks, you may be able to reduce the impact of walking through sewn-in foam padding. When you are walking around on a damaged foot the pain can be horrible and it can stop you from performing daily activities. However, with foam padded foot support socks, you will be able to manage with day-to-day walking. The impact of walking and moving can be drastically decreased through compression sock pads and they are often used to prevent injuries in the first place. A lot of new sporting companies are creating padded socks and they can improve the healing progress making it easier to continue with normal functioning. FootGlove Performance Footwear has an advanced memory foam padded sock with compression abilities woven in, giving it a combination effect. Pain in the feet can be relieved in a number of ways and through a little bit of research and education, it can be easy to aid recovery and get back to your training and daily life. Through the methods above, you can heal and relieve pain from almost every foot injury and through the addition of particular clothing, such as compression foam padded socks; you can speed up the healing process. The foot is a complicated part of the body and without it, we wouldn’t be able to perform a lot of activities, including sports. One of the most common related injuries in sports is to do with the feet and it can be beneficial to know what the foot is made up of and what the common bones are that are used in movements such as running. Through certain socks and shoes, like men’s compression or toes socks, the feet can be protected from serious damage and through external padding, the impact of intense movement will not injury the bones. This article will describe the feet and their entire anatomy. The feet have a lot of different bones and muscles and they all contribute when walking, running and balancing. The foot can be divided into three different groups in regards to its bone structure. Firstly, the foot has 5 toes and 5 other, longer bones that make up the majority of the foot. The foot also has a pyramid structure and is made up of three different, larger bones that give the foot its core. Thirdly, the heel contains the largest bone in the foot and also contains the bone which connects the foot to the two legs bones. There are, of course, scientific names for all of these bones but they are all very long and complicated. As for the muscles, ligaments, etc. they tend to run on the bottom/base of the foot and they enable the foot to remain balanced and also connect the heel to the leg through the Achilles, allowing for walking, running and jumping. This is also why a lot of runners will experience plantar fasciitis because the tendons that receive damage are on the bottom of the foot. Now that the anatomy of the foot has been briefly explained, it can be helpful to know the conditions that are associated with these parts and how they can cause pain in the foot, which will require repair through rest and foot support socks. Swollen feet are a common issue among many individuals, especially athletes. Swollen feet is the result of blood flow towards the foot during vigorous exercise and it is not entirely known what the real scientific cause is for swollen feet. Some scientific evidence does suggest that swollen feet are the result of blood vessels and when individuals engage in running or intense exercise the feet struggle to get enough blood because the heart is using it all. As a result, the feet open up the blood vessels more and this is problematic, as this can cause sodium issues. Tendon issues and injuries are the most common form of foot injury that many athletes will experience. They can also be one of the more painful experiences and with so many tendons in the foot, injury can occur in multiple areas. Plantar fasciitis is the most common form of tendon injury and it can be felt through a sharp, stabbing pain in the bottom of the foot. In most cases, this can be prevented through the application of a foam padded, compression toe sock. This makes sure that the impact of running is reduced which can aid your tendons and feet bones. Other individuals may suffer from infections but this is rare and usually requires the individuals to have some sort of medical condition (diabetes, etc.). The foot is a complicated mechanism and allows us to run, jump and walk. The foot is made up from a lot of bones and tendons and these can become easily damaged during exercise and other vigorous activities. Make sure you prevent foot injury through wearing men’s and women’s compression socks and learn to rest after your training. Blisters are a common issue with feet and everyone who wears shoes and exercises will have felt the pain of a blister at some point in their life. Blisters are caused by the increased friction experienced when individuals buy and wear new shoes or run for a prolonged period of time. The friction is caused by a build-up of moisture produced by the foot and this moisture is absorbed into the sock, causing friction. Blisters are difficult to deal with they can be treated in a way that relieves the pain, allowing you to go back to your training without too much bother. This article will describe a number of ways that you can deal with blisters effectively so you can continue training pain-free. The most recommended way to deal with a blister is by actually protecting it. This way, you will not risk popping it and getting an infection, especially if the blister is on the bottom of your feet where there are a lot of harmful bacteria. Even if you have the blister elsewhere on your body, popping it would make it look very unattractive and it may be better to simply cover it up. There are a number of plasters and covers you can apply to blisters and they will ensure it heals naturally without causing any problems. If the blister is a small little pea size, you can let it heal on its own and cover it up with a bandage. If the blister is a little bigger or in an area which you apply weight too (like the bottom of the foot), it may be best to use a donut-shaped moleskin plaster to cover the blister so you can still place pressure on it without it bursting. Depending on the size of the blister it should heal relatively quickly. If the blister is particular painful some individuals drain them. This is not recommended but there are a number of ways to stay safe and make sure that you will not suffer from any hidden infections. When you go to burst your blister make sure that you are using a clean, sterilized needle and are making sure that the liquid is not going to spread all over the foot. Puncture the blister from the side and squeeze the juice out. If you have any medical conditions like diabetes or cancer do not burst your blisters because you are at risk of infection. Once the blister is popped, clean the area and place a plaster over the top to protect it. The best way to tackle a blister is through preventing it in the first place. The best way to prevent a blister is to wear the correct footwear and socks, especially if you are exercising. Socks are the main culprit of blisters so having a pair of compression cotton toe socks can be very beneficial when preventing blisters. Athletic toe socks have little sleeves for your toes that prevent them from rubbing during running and walking. The reduced friction leads to fewer blisters and therefore is an excellent prevention strategy. One of the more common conditions experienced by individuals is athlete’s foot. Athlete’s foot is a bacterial infection and has affected the majority of individuals at some in their life. The infection is regular for those who engage in sport (hence the name) and it has a range of different causes. Athlete’s foot is common and it can take a while for the infection to go. There are creams and different lotions you can apply to aid the recovery but there are also other effective ways to get rid of it. It can be helpful to understand the causes of this common bacterial infection so that you can prevent it in the future. This article will describe what athlete’s foot is and ways that you can treat and prevent it. As previously mentioned, athlete’s foot is a bacterial condition that occurs because of little parasites that feed off the living organisms on your feet. There are three different types of parasite and they are often called dermatophytes. There are soil based, animal based and human based dermatophytes and it is the human type that is responsible for the development of athlete’s foot. At any given time we have this type of bacteria on our bodies and if we give it the necessary conditions it may turn into an infection. In most cases, they are usually harmless. Athlete’s foot is most common in young individuals and is more common in sports people who do not wear proper fitting footwear and thus create warm, sweaty conditions which bacteria love. The condition is also contagious so do not share towels or swim in public pools. In classic cases of athlete’s foot, you will see a red rash on and between your toes and it may be very itchy. These areas are where the majority of moisture and heat can build up making them the prime spots for the development of athlete’s foot. This is why men’s and women’s athletic toes socks are amazing at preventing athlete’s foot, because the little sleeves keep the toes separated, reducing the production of bacteria. In rarer cases, the condition will spread to your palms and will start to resemble the look of eczema. In most cases, the athlete’s foot can be treated by washing the feet and drying them thoroughly, making sure that they are bone dry before you put them in your shoes. When drying your feet, make sure that you use a separate towel as to not spread the infection. Make sure that you are wearing adequate socks, either cotton toe socks or wool socks will do the job and make sure that they are changed on a regular basis. Additionally, avoid clunky shoes and stick with sandals or open-topped shoes. For the prevention of athlete’s foot, as already mentioned, athletic toe socks are the best option and can be a life saver when it comes to preventing athlete’s food. Finger toe socks are designed so they fit over all of your individual toes and prevent them rubbing together. Not only does this stop blisters from forming but it can also prevent the development of athlete’s foot between the toes. Men’s toes socks and women’s toe socks are both very similar and will do an adequate job at preventing infections during intensity exercise. Nobody likes foot odor and it can be amplified with the introduction of vigorous exercise. Foot odor is not pleasant and people who are more prone to it are runners, athletes and even teenagers. Smelly feet are caused by a range of sources and there are a number of ways that it can be prevented. If you are wearing the incorrect footwear and socks, your feet are not getting a sufficient amount of air and this causes them to sweat. The feet are the sweatiest parts of the body and they sweat throughout the day regardless if you are engaging in physical activity or not. 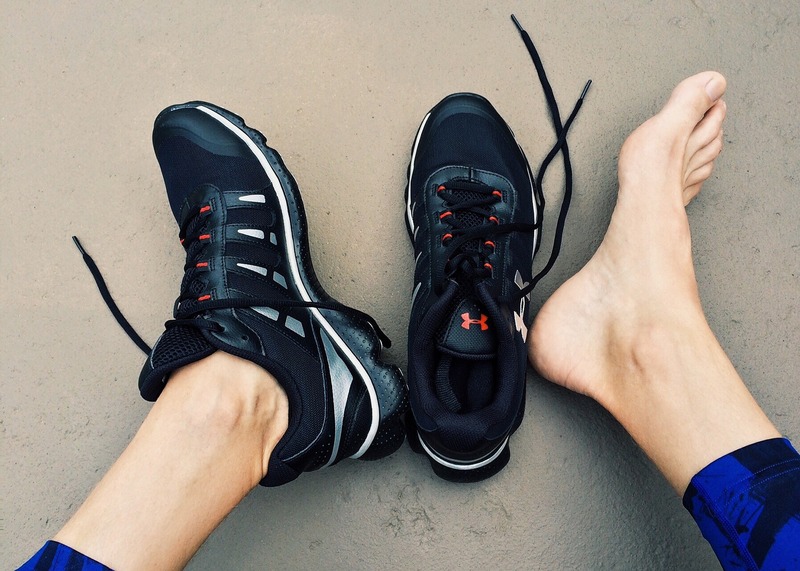 This article will explain what causes foot odor and how it can be stopped for good. As just mentioned, foot odor and smelly feet are the results of excess sweat in the feet. The feet sweat throughout the day and have the highest density of glands when compared to any part of the body. As a result, when they are put under heat and pressure they will sweat more and this is increased through incorrect footwear. However, the sweat itself is not what causes the potent smell. When the feet sweat it mixes with the bacteria present on the foot and this is what causes the odor. The bacteria on the feet breaks down the sweat and this releases the cheesy smell often associated with foot odor. There is a number of contributing factors that affect how smelly the feet get and some are correlated with factors that increase the sweat, like sports. One issue may be with your shoes and socks. Do not wear the same shoes every day especially if you are exercising. This goes for socks as well and you need to make sure that you are wearing the correct socks when you exercise. Socks that you should be wearing include compression socks and men’s compression socks are the same as women’s compression socks, so it doesn’t matter which ones you get. Hormone levels can also influence how smelly your feet can get, making teenagers and pregnant women more prone to having smelly feet. Furthermore, poor personal hygiene can lead to smelly feet. There are a bunch of ways to reduce the smell of your feet and they are relatively basic and straightforward. Firstly, you should not be wearing the same shoes every day and try to change them every two days. This goes for socks as well, try to change those every day. When you are performing a vigorous exercise, remember to wear either athletic toe socks or compression socks that are breathable and wicked so they do not catch as much moisture. Keep your personal hygiene high and wash your feet regularly. If you are very prone to sweat, try spraying your feet with deodorant or powering them with talcum powder to dry them out. 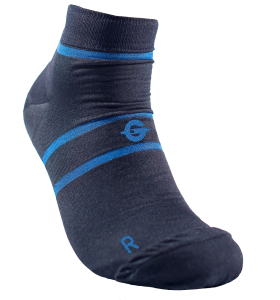 FootGlove Performance Footwear makes a specific sock that is not only compression fit and wicked to reduce sweating but can also prevent foot odor. This is achieved through silver ion technology and it is relatively new in the field of sports socks. Foot odor is a pain and everyone will suffer from it. The feet are the sweatiest body parts and have the highest concentration of glands. This means that they are prone to mixing with bacteria that promotes smells. Some people are more prone to smelly feet than others but through good hygiene and the proper socks, you will be able to prevent it. Check out our recent coverage on NBC WJHG Channel 7 News! When Uganda Williams, Sr. of Panama City Beach, Florida lost his job, he knew he had to quickly find a way to support his family. He was able to replace his one construction job with two full-time, minimum-pay jobs, so he was on his feet 80 or more hours every week. The busy father of five found that his aching feet were unbearable, but he never had time to rest them: it was a vicious cycle. Not happy with current shoe inserts or orthotics, Williams designed his own compression sock with Extra Shock Absorbent (ESA) Foam Padding sewn into the foot bed. This brought immediate relief and a complete solution, so in 2014 he decided to share that relief and solution with others by starting a company to make the FootGlove PF Socks, as he calls them. As well as a soft foam inner sole to absorb shock and pressure. The padding is made with ESA technology. In addition, the double-layer compression socks are infused with Silver Ions Technology and Extreme Moisture Control materials which keep sweat away from the feet and kill bacteria to avoid foot odor. While the ESA Foam Pad cushioning is a main feature of the FootGlove PF Socks, the compression also works with the padding to not only promote circulation, but also to provide support and reduce swelling. Swollen ankles and feet are a major complaint of people who are on their feet all day. Now Williams is working hard to promote the FootGlove PF Sock’s concept, and the proof is that his product has been accepted by The Grommet. The Grommet is a website whose purpose is to showcase companies and products from underrepresented, value-based entrepreneurs. The website selects preferred small businesses and launches their products to a large audience. According to The Grommet, “When we choose Grommets, they are ready to find a wider audience and our product launch platform gives them the amplification and attention they deserve.” And that choice of products is very exclusive: The Grommet reviews at least 300 products every day, but only chooses 3% of those products into their ecommerce platform. Their self-stated goals include establishing new markets and creating new demand, generating nationwide brand awareness, fostering commitment to social good, and facilitating retail partnerships. The company, whose stated mission is “to solve the world’s problems of foot pain and discomfort caused by excessive stress on the feet and lower extremities,” is well on its way. Customers include construction workers, restaurant servers and cooks, sports enthusiast, and many more. In fact, Williams hopes to benefit anyone whose job, profession or recreation causes foot pain and discomfort. So far, customers are giving the FootGlove PF Socks rave reviews. is featured on The Grommet, it looks even brighter. Being a Nurse or Doctor is very rewarding. The knowledge and training that both receive is highly recognized and not easy. 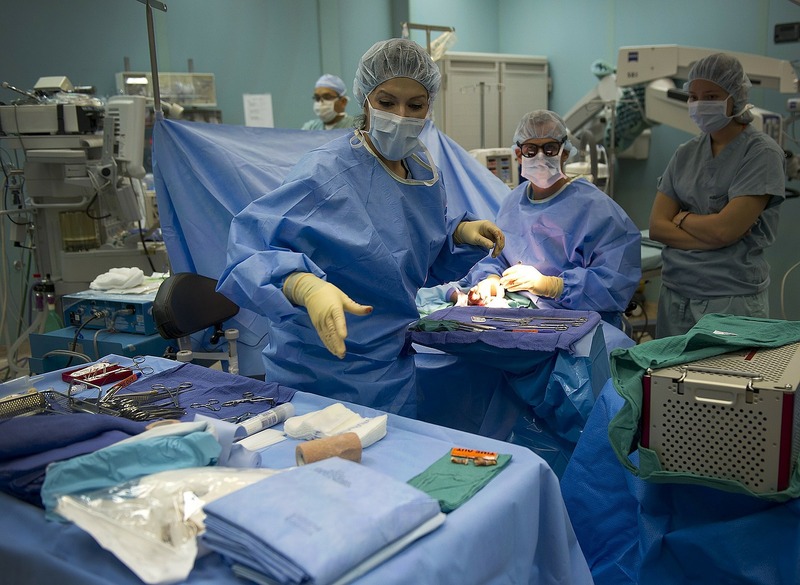 They’re rewarded by the fact that their knowledge and training could potentially save a life. The ability alone to want to help another person is rare in today’s time. While this seems like a Superman and Wonder Woman role it’s not, they’re still human just like you and I. My mother is a nurse so I’ve been able to see first-hand the side effects it has on your body. Tired, achy, sore, lower back problems, and the most common side effect is foot pain. Being on your feet for long periods causes damage over time. It’s not just your feet that’s effected, your entire body is. The foot contains 26 bones, 33 joints, 107 ligaments, and 19 muscles. Now, add in all the blood vessels and nerve endings and what do we have? A very intricate body part, topped with the fact that Nurses and Doctors are on their feet almost 89% of the day, exposing them to even more vulnerabilities than the average human being. From soreness and tenderness of the ankles, heels and toes to swelling and excessive perspiration. The foot bears the brunt of their everyday life. Not a single day goes by that I don’t hear my mother, or others talk about how they really just need something that is easy and affordable. Seeing as I work in a shoe store I’m constantly helping customers that come into our store asking. “What do you think is best for someone like me, who is on their feet all day?” While I offer them what would suit best, they always ask “how much?” Because we all know it’s expensive to get good support and comfort for your feet. Well not any longer, today is the day all of that changes. Introducing FootGlove Performance Footwear, a uniquely designed sock that has been specifically engineered to assist with the prevention and treatment of such issues with the foot. The clever design is snug fitting with unique pressure points that target tender areas of the foot. With silver ion technology woven into the sock to prevent odors and a compression to reduce swelling and enhance circulation that also provides support. FootGlove PF is simple affordable and very effective. Keeping your feet healthy and happy. Anyone who works in the field of first responders understands the importance of good footwear. The support we give our feet is critical to our job performance. 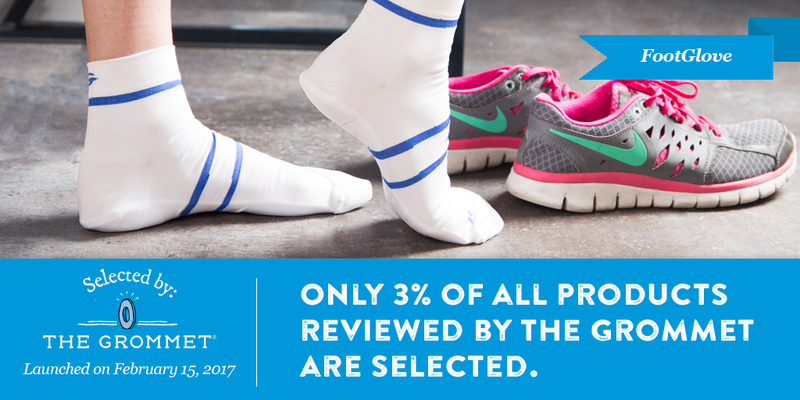 Almost your entire shift is spent on your feet, so support and comfort are main priorities for your overall foot health. Getting half way through your shift and having to sit down because your feet hurt, means you need to pay better attention to your choice of footwear. Paying attention to what you are wearing, in regards to keeping your feet healthy can spare you many types of aches and pains in the future. Having feet that are constantly in pain can cause your legs to hurt, lower back pain, swelling and many other issues within your body. 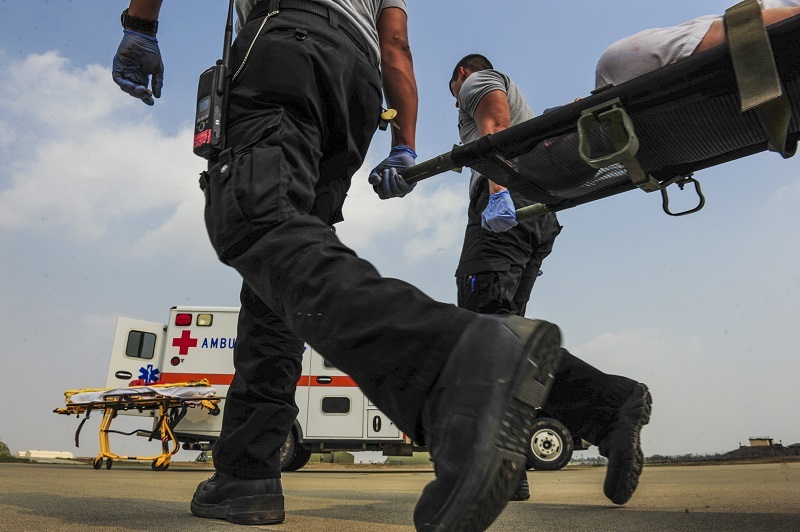 Most people that work as first responders can attest that after they get off work they just want to put their feet up because they are so tired. Becoming aware of the products that are available to the public and are affordable is important to understand. The foot contains 26 bones, 33 joints, 107 ligaments, and 19 muscles. Now, add in all the blood vessels and nerve endings and what do we have? A very intricate body part, topped with the fact that Nurses and Doctors are on their feet almost 93% of the day, exposing them to even more vulnerabilities than the average human being. Introducing the FootGlove PF, a uniquely designed “sock” that has been engineered to promote the prevention and treat such issues with the foot. The clever design is snug fitting with unique pressure points that target tender areas of the foot. With silver ion technology woven into the sock to prevent odors and a compression upper to reduce swelling and enhance circulation that also provides support. FootGlove is simple affordable and very effective. Keeping your feet healthy and happy. Support us on Kickstarter today! Pre-order your pair and save up to 40% off retail prices!